September 20 – 23, 2018, in Edmonton, Alberta. Fee: $350 (accommodation at $30/night) Register online here. 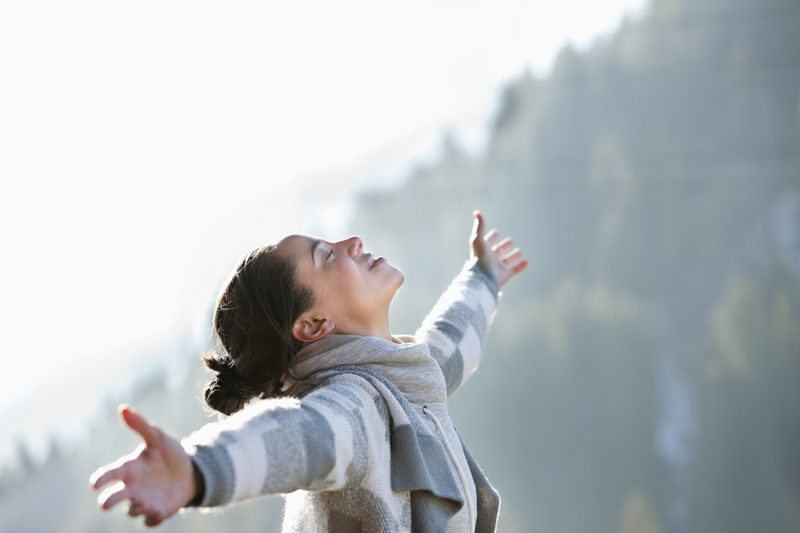 "Inhabit your body and life"
Join us for an in-depth exploration of inner awareness as we weave these two modalities together in a way that both touches the heart and awakens our senses creating an opportunity for the experience of greater connection to self and others. 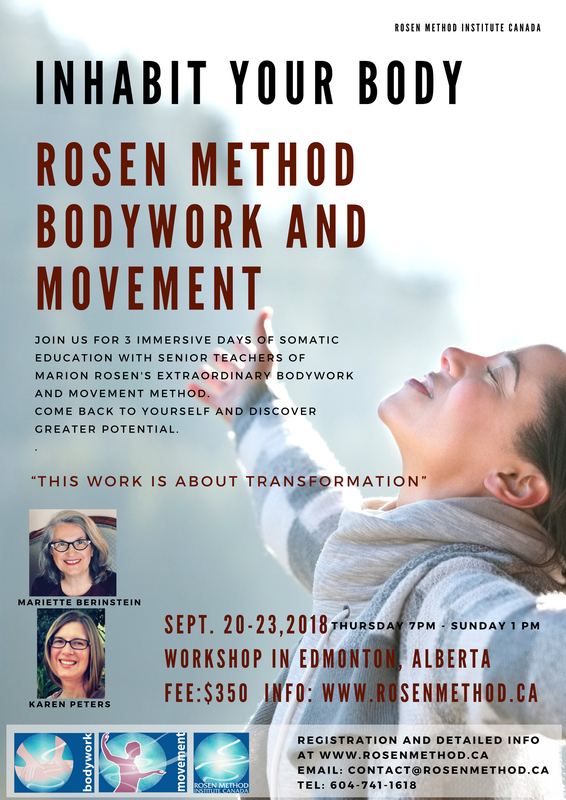 We have found that people are interested in participating in this unique experience through Rosen Method Movement and Bodywork so we have changed the dates starting Thursday evening 7:00pm, September 20thand ending Sunday, September 23rdat 1:00pm. The cost is $350. Location is just south of Edmonton, in Leduc and accommodation $30 is available. Karen Peters and Mariette Berinstein have worked together over a number of years and are excited to combine this transformative work Rosen Method in a weekend workshop. 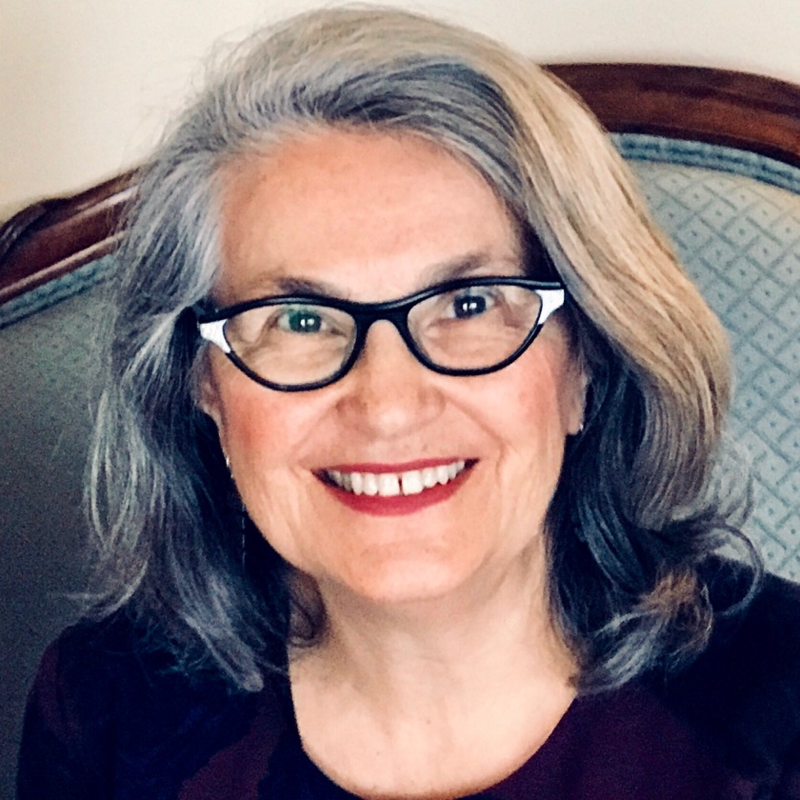 Joining them from Edmonton is Cinnamon Cranston, Rosen Method Workshop Teacher, Practitioner and a student in the Rosen Method Movement. Senior Rosen Method Movement Teacher Trainer, Alexander Technique Teacher, Karen Peters is a Senior Rosen Method Movement Teacher Trainer, and an Alexander Technique Teacher as well. 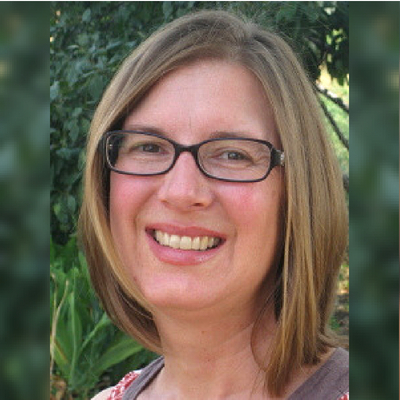 Karen was trained in Berkeley as a Movement Teacher by Jane Malek and Lisa Thompson; she was subsequently trained as a Teacher Trainer by Theresa Garcia. She currently teaches a weekly class in Napa, California, and teaches movement training classes at the Berkeley Center. Karen has two young sons at home, and finds teaching Rosen Movement to be an invaluable source of sanity, love, joy, and aliveness.